Vishwa Hindu Parishad (VHP) leader Praveen Togadia has sent out a tough message to Prime Minister Narendra Modi during his three-day visit to Tripura. 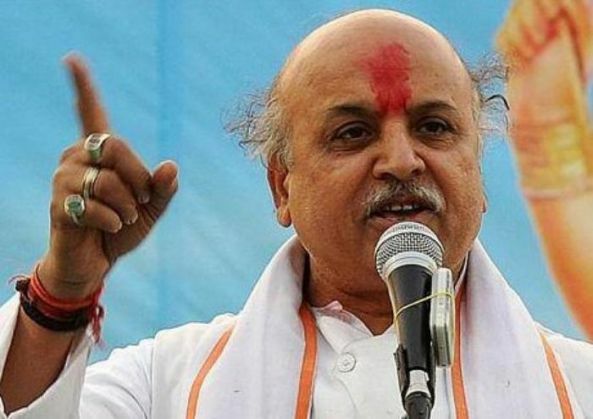 Addressing VHP workers, Togadia said that if the Prime Minister wants to retain his chair, it is important for him to stop Bangladeshi infiltrators from crossing the border of the North-Eastern state. He said: "Be it Tripura's Chief Minister or the Indian Prime Minister, they have to pushback Bangladeshi Muslims to Dhaka or they shall not remain as CM or PM". A time-bound action plan to evict all Bangladeshi Muslims. Making the electoral rolls of 1952 as the base year for identifying infiltrators. Conducting paternity tests to verify Indian or Bangladeshi origins. Foreign Security Act should be amended especially for Bangladeshi Muslims. When a Bangladeshi Muslim is captured in India, he should be sentenced to death and a trial court to deal with these cases should be established. According to Togadia, 15 million Bangladeshis are living illegally in the northeast states currently and an equal number is residing in other parts of India.